The North York Hockey Season officially concluded the 2016-2017 season with the 64th Annual General Meeting on June 27, 2017 at Downsview Arena. Chief Operating Officer Paul Maich welcomed a new Member Club, the Markham Waxers, to the North York Hockey League for the upcoming season. This new addition, along with current Member Clubs indicating that they will be entering additional teams next season, will put the NYHL at a predicted 470 teams for the upcoming season. The NYHL is pleased that our entire Board has indicated their willingness to return for another season. The Board for the 2017-2018 season will consist of five Officers, including: President – Robert Svanefelt, First Vice President – Paul Maich, Second Vice President – David Armstrong, Third Vice President – Norm Belyea, and Secretary Treasurer – Stephen Gerry. The six Directors are Kathy Grant, David Croutch, Deborah Hurst, Brian Jackson, Paul Schnier, and Steven Zinanni. This Spring, the league lost a great Member and friend, Brant Snow. Brant was a dedicated and active Member of the Goulding Park organization. The league announced Brant Snow as the winner of the Bob Svanefelt Award for Outstanding Contributions to the North York Hockey League. The Leaside Flames organization was presented with the 2016-2017 Grande Champion Banner, which is awarded each year to the organization with the most champion teams. Four Leaside Flames representatives were in attendance to accept this great honour. West Hill Midget Junior’s are the Champs! Tier 3 Midget Jr Champions. The boys were exhausted but happy. Justin Eccleston (left) MVP and Matteo Tsagarelis (right) are recipients of President Trophy Winner for the Duffield Devils Minor Midget Select White. Adam Valentini was awarded MVP Duffield Devils Novice Tier 1 by his proud uncle Mike Valentini and Duffield president Frank Carbone. Scarborough Black’s Kaison Wang gets focused to play! The Vaughan Mini Mites Program is a Great Success. The Duffield Devils Minor Novice Silver Tier 1 team were awarded the gold medal champions at the Boston Pizza Tyke/Novice Tournament in St. Thomas this weekend (Feb 24-26). Congratulations to all of the players, coaches & parents for their heroic effort and support! Don Mills Mustangs Minor Bantam are victorious at Leaside Invitational Select Tournament. The JCC Minor Novice team captures the Leaside Tournament. The Duffield Devils Novice red team hang out with their friend! Warren Park Midget Juniors Capture the Leaside tournament. Weston Atom’s Dante Griffo gets “warmed up”. The Warren Park peewee team had a blast at the Toronto Rock game. A special thank you to the Toronto Rock for running this great contest. The East York Minor Novice Blue team gets front row seats as the Rochester Americans put on a show. Marcus Marchildon of the Scarborough Ice Raiders Novice team keeps his eye on the puck at all times. Weston Minor Peewee goalie Nelson Caballero is getting ready. Our Minor Novice Red team were the big winners in the Curtis Joseph Invitational Tournament in Newmarket this weekend. 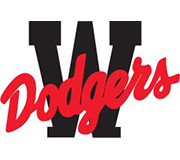 They competed against 32 teams from all over Ontario and came out on top against the previously undefeated Whitby Wildcats in the final game with a score of 5-0. Overall they outscored their competition 40-5. Congratulations to Coach Mark Swirla, team staff and players on a great win! The winning entry in the Toronto Rock Contest is the Warren Park Peewee White team. This team was randomly selected from a large number of entries. These players will get to experience a great opportunity to attend a Toronto Rock game as a team. The NYHL would like to thank The Toronto Rock for donating this great prize. We encourage those that have yet to do so to be sure to check out their link on the NYHL website. Willowdale Blackhawks Turn It Upside Down! Coming in 3rd at a tournament or leading Tier 4 may not be much to shout about in the environment of high achievements that is the NYHL. But what if that same team, this time last year, were at the bottom of the lowest tier and had lost every single game with an average score of 1-5? The Willowdale Blackhawk’s Atom Select team are celebrating such a transformation in completely flipping their standings from last season from 2015. They finished top of their tier and had a turn on averaging 5-1 wins. Scoring the most goals and conceding the least too. At the recent Can/Am tournament in Montreal they came in 3rd to a Rep team from Cornwall and a NYHL Tier 1 team. Both were held to just 2-0 up to the 2nd period. Willowdale also picked up 3rd place in the relay race out of 8 teams, won the Fair Play Award and a player won the Hockey Camp Scholarship in Montreal for her essay on the subject in French. The tough previous 2015 season was not unanticipated given most were in their first year of select. In consultation with the club’s VP of Select, the team looked to the future and decided to play a year up and make it a development year. To help focus on team building (and not on losing badly), the team had a very heavy team bonding calendar with dinners, NHL games, new Star Wars movie premier etc. Incredibly, all the kids come from different schools, yet are best friends on ice and at each other’s birthday parties. However the core activity was a customized and very purposeful training program to keep further focus on development outcome and incremental improvements after each heavy lost. Individual programs were also designed consisting of trips to the skatemill and shooting pad to fine tune fundamentals. Ultimately, a clear vision of being able to play positional and forechecking hockey with speed by the end of summer was set. This guided a progressive program starting in spring with a figure-skating instructor, then back to power skating with a hand-picked coach that was crucially also skilled in instructing kids. All players were required to be proficient in all aspects of skating and puck control – and not just when skating forwards. This enabled them to keep up with higher intensity training (e.g. quick line changes and playing hard for a full minute at least). It also made instructions in playing heads-up and positional hockey more effective. The initial results were encouraging as seen at both pre-season exhibition games with a team up a tier and a scrimmage against the club’s rep team. Our new speed matched or exceeded most on ice, mob hockey was mostly gone and replaced by definite structure. The staff attributes our progress to earning parent’s commitment. This required a clear vision of success and very purposeful planning that followed. We received great advice from our mentors at Willowdale and from the NYHL network. What next for the WIllowdale Blackhawks Atom Select? The next milestone is to achieve consistency in maintaining their system of play by the end of the winter season. They look forward to the challenges of going up a tier and meeting new teams to help achieve just that. A discussion on the revised vision before Fall 2017 season will no doubt follow, as the kids are determined to of course stick together and welcome new friends! The East York Novice team is in game form. The H2T contest winning Duffield Novice Silver team had a blast at the state of the art facility! The Scarborough Novice Black team presented their coaches with this signed jersey and stick to show their appreciation. Kaison Wang, Goalie of Novice Scarborough Ice Raiders Black when the Stanley Cup visited Scarborough this past summer. Seasons Greetings from the Weston Minor Midget Red team! Seasons greetings from the Vaughan Minor Novice Red team! Winning Team Selected in Majer Hockey and McKenney Sports Team Shell Contest The NYHL would like to congratulate the York Mills Minor Atom team as they are the lucky recipient of the team pant contest. There were numerous entries and this team was randomly chosen as the winner. The NYHL would like to send a special Thank You” to both Majer Hockey and McKenney Sports for providing this great opportunity. Please be on the lookout for more great contests to come. Enhance the content you serve to your followers on Facebook & Twitter by sharing/retweeting our videos! Registered associations get an early sneak peak of what we’ll be sending. In this ProSmart tutorial, Wade Redden and Luke Schenn demonstrate how to use the boards to your advantage when making a pass. The first players from each line leave at the same time, round the centre circle, and receive a bank pass off the boards from the second players in line. They return down to their end of the ice for a shot on net while the second player rounds the centre circle for a bank pass. Darnell Nurse steps out of the box and joins Connor McDavid on a 2-on-1 rush. Let’s breakdown how they executed the play to perfection with some fundamental core skill videos. Not surprising that we’re seeing goals like this from the young talent on the Toronto Maple Leafs. Here’s how Matthews, Kadri, & Nylander setup this beautiful power play goal. ProSmart Hockey is your source for 100% FREE hockey drills, week-by-week practice plans and powerful team communication tools. We support the day-to-day lifestyles of grassroots communities by connecting every volunteer coach, manager, family and player to one socially immersive experience – for free! The Weston Novice White team has a “meeting of the minds”. 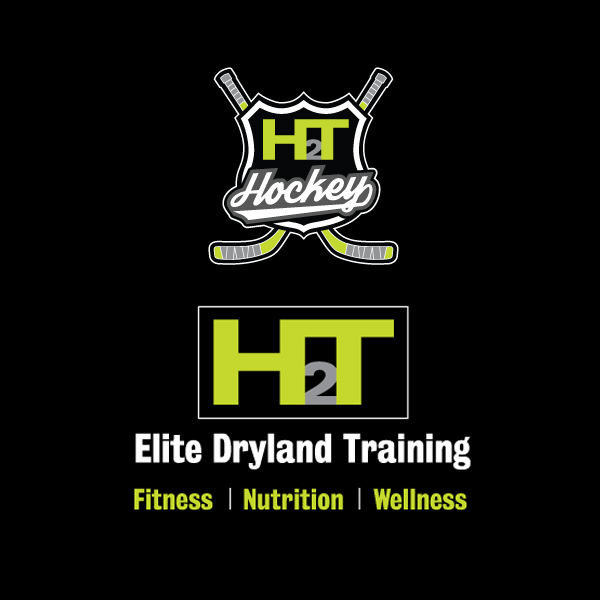 The winning entry in the H2T Dryland Fitness Contest are the Duffield Devils Novice Silver team. This team was randomly selected from a large number of entries. These players will get to experience a great opportunity at the state of the art H2T facility. The NYHL would like to thank H2T for donating this great prize. We encourage those that have yet to do so to be sure to check out their link on the NYHL website. Martin Clarke for the Downsview Novice team looks to pick the corner! Marcus Porco and Gabriel De Sanctis of the Weston Atom team pose for a pre game photo. The Winnwell team glove contest winner was selected on Monday November 7th. The lucky recipient of this great contest was the Duffield Bantam Red team. These players will get to show off their new Winnwell gloves in time for the winter season. The NYHL will also like to extend a sincere thanks to Winnwell for offering this great contest. Our team had a great weekend up in Nottawassaga at the Bradford tournament Nov 4-6. Thornhill & Faustina team up to help others! On October 20th something special happened on the way to the rink. The two teams organized an event that would see each hockey player bring along his/her gently used stuffed animal and send it on a journey across the Atlantic Ocean. The comfort, security and happiness that these stuffed animals once provided to our children will now have their magic warm the hearts of children in Kenya. To see some players giving one last hug before saying goodbye and sending their little treasures off to comfort another child is truly priceless. In Canada, this beautiful game of hockey brings our families together on cold wintery nights. It’s our collective goal to build compassionate and courageous young leaders of tomorrow. And that’s a game changer!